Libraries, schools, colleges, and other centers of learning. 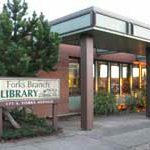 The Forks Branch of the North Olympic Library System is located at 171 S. Forks Ave. and is part of an integrated network of libraries throughout Clallam County. Stop in and browse the shelves, periodicals, children’s and youth sections, or have a seat in one of several cozy seating areas and get lost in a good book. See more information and current hours at the NOLS website. Forks is served by the Quillayute Valley School District #402 which consists of Forks Elementary School, Forks Intermediate School, Forks Junior High School, and Forks High School, as well as the online Insight program, Home School Plus+ (QVSD’s parent-partner program), and Forks Alternative School. Peninsula Community College is centered in nearby Port Angeles, WA, about an hour’s drive east of Forks. In addition to their main campus, they also offer online programs, and an extension site in Forks. The Forks site offers adult and evening classes for enrichment and/or college credit, GED prep and basic education for adults, ESL classes, computer skills, and a learning center with tutoring and peer groups for math and writing. Follow the links to find out more about these and other programs available, and see the current Forks class schedule here. The Olympic Natural Resources Center (ONRC) in Forks is an extension of University of Washington, located at the edge of town in a lush forest setting. They provide scientific information to address critical issues and solve problems concerning forestry and marine sciences in the region. ONRC also serves as a catalyst for interdisciplinary and collaborative work, bringing together expertise from forest resources and ocean and fishery sciences. By integrating research with education and outreach, it unites researchers, students, professionals, and the public. Visit their website for more information. One of the many services they offer to the community is an ongoing series of evening talks available to the public on a variety of ecological topics. Click here for the current schedule. Clallam County Hospital District #1 is a public hospital district serving the residents of west Clallam and Jefferson Counties on the Olympic Peninsula. The Hospital District includes Forks Community Hospital, the Bogachiel Medical Clinic and Women’s Health, Clallam Bay Clinic (serving Clallam Bay, Sekiu, and Neah Bay), West End Outreach Services facility (offering mental health, chemical dependency, and family support) and the Forks Ambulance Service. Click here for a map to the hospital. No one should have to live with violence. The Forks Abuse Program is organized to provide shelter, advocacy-based counseling, and preventative services for victims of domestic violence and sexual assault. 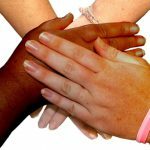 Explore their site to see what other services they provide, and for volunteering opportunities. The Caring Place is a pregnancy resource center serving the city of Forks and surrounding areas. Various classes are available, appointments can be scheduled, and home or hospital visits are provided. Pregnancy tests and peer counseling, Mommy & Me classes, gently used baby clothes, and so much more. See our Facebook page for current events. Concerned Citizens handles a wide variety of social services on the West End and throughout neighboring counties. Forks is the hub of the agency, and houses the Teen & Family Center, Childcare/Preschool Sunshine & Rainbows, and an Adult Family Home. They also provide support services, such as employment support, aid for those with developmental and other disabilities, early intervention, supervised visits, and more. Adult Education is contracted through the facility, on topics such as Home Care Fundamentals, Basic STARS for childcare, CPR, First Aid and HIV/ AIDS, and Developmental Therapy. Visit their website for more info and contact info/hours. Please be advised that access to some areas may require a Discover Pass or a Forest Services Interagency Pass. Bogachiel State Park boasts 123 acres of lush forest and the winding Bogachiel River. Campgrounds, restrooms, day-use picnic facilities, and a 1-mile hiking trail. A handy list of informational maps and printouts for local activities and hikes curated by the Forks Chamber of Commerce. Get them here, or stop in the Visitor Center for printed copies to take with you as you explore. The Elk Creek Conservation Area is stewarded by the North Olympic Land Trust. A riparian forest along two miles of Elk Creek showcases unique characteristics of old growth temperate rainforest, and serves as a diverse habitat for local species, including serving as a natural spawning ground for the Calawah River system. The Olympic Discovery Trail traverses nearly 130 miles of lowlands across the northern Olympic Peninsula, from the Victorian seaport of Port Townsend all the way to La Push, headquarters of the Quileute Indian Tribe and beachside resort town on the Pacific Coast. The Olympic Loop Birding Trail explores Olympic National Park, four national wildlife refuges, state and local parks, as well as the natural and cultural history of six Native American tribes: Jamestown S’Klallam, Makah, Quileute, Quinault, Skokomish, and Squaxin. From the Nisqually River delta in south Puget Sound, through moss-draped forests, to the tip of the contiguous U.S. at Cape Flattery, tracing the Strait of Juan de Fuca east over the Olympic Peninsula, and south along the inland waters of Hood Canal, the Loop features more than 200 of Washington’s 346 annually recorded bird species. Nearly a million acres of vast wilderness encompassing several distinctly different ecosystems, from glacier-capped granite peaks through old-growth temperate rainforests, to wild Pacific coastline. 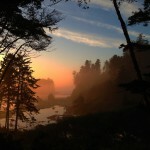 Explore the National Park Service’s pages to find out what you can do and see at the Olympic National Park. Located right at the edge of Forks, behind the Forks Visitor Center, the Olympic Natural Resouces Center (ONRC) Trail offers a well-maintained hike. Click here for a map. Olympic National Forest offers diverse recreation opportunities for everyone. Experience the sounds of rushing rivers, lush rain forests, alpine wildflowers, and views of the Puget Sound from mountain peaks. Five Wilderness areas offer solitude and a chance to experience the rich biodiversity the Olympic Peninsula is known for. Explore the USDA Forest Service website for an exhaustive list of access points, maps, safety information, and more.